AKE’s award winning training services set the benchmark for travel safety, medical and hostile environment training. We have developed a comprehensive portfolio of training services that encompasses a wide spectrum of risk management issues. We constantly challenge the status quo and value the differences that we make. Our training team has a breadth of knowledge and considerable operational experience in high-risk and complex environments, worldwide. This specialist knowledge helps us deliver interactive, realistic training scenarios that enhances the learning experience and ensures our students are well-equipped to manage a variety of risks in challenging environments. Effective training depends on knowing what is required for your staff and the organisation as a whole. Budgets are being scrutinised, organisations need to ensure that the resources invested in training, are targeted at the right areas and that the training delivered, provides a positive return on the investment. AKE's bespoke training packages offer clients a cost effective and targeted solution, that meets their exact requirements. For more information, please contact us. Delivered through a mixture of lectures, discussion groups, workshops and practical simulations and exercises. Courses are progressive and interactive in nature, culminating in a series of challenging and realistic scenario exercises. Regularly scheduled courses are held at training centres in the UK, also available in the US, Canada, Australia, Singapore and Thailand. 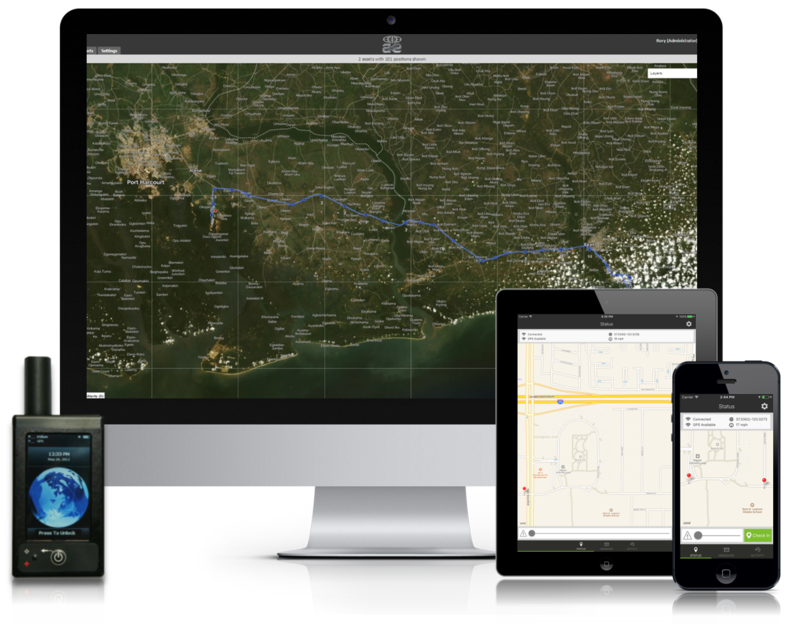 Designed to assist individual journalists and media teams to prepare for and manage risk whilst travelling to and working in complex and potentially hostile situations. The programme is delivered through a mixture of lectures, discussion groups, workshops and practical simulations and exercises to suit varied learning styles, with particular focus on preparation and planning, threat identification & risk mitigation strategies, self-sufficiency, situational awareness and trauma management. The course is targeted at individual journalists and teams. No prior qualifications required (basic medical training would be an advantage). Provide lifesaving and immediate medical care in hostile and challenging environments. Training is delivered from our purpose built training facility at Dovehills, located in the Herefordshire countryside. This enables us to provide realistic scenario training. In addition to this AKE can deliver globally, bespoke SHR courses in a number of our training centres including US, Canada, Australia and Thailand. The events of the past decade have provided an unequivocal mandate for individual journalists and media teams to prepare for and manage the risks in a rapidly changing threat environment. It is vitally important that your skill set remains current; the 3-Day SHRR is designed to maintain and update the key security & medical , principles previously taught on the 5-day course. . The course is targeted at individual journalists and teams wishing to remain current. Prior attendance of the 5 day SHR course is required. Training is delivered from our purpose built training facility at Dovehills, located in the Herefordshire countryside. This enables us to provide realistic scenario training. In addition to this AKE can deliver globally, bespoke SHRR courses in a number of our training centres including US, Canada, Australia and Thailand. AKE International’s Working in Hostile Regions course is designed to assist individuals, teams and organisations to prepare for and manage risk whilst living and working in, complex and sometimes hostile environments. The programme is delivered through a mixture of lectures, discussion groups, workshops and practical simulations and exercises to suit varied learning styles. It is progressive and interactive in nature, culminating in a series of challenging and realistic scenario exercises. Training is delivered from our purpose built training facility at Dovehills, located in the Herefordshire countryside. This enables us to provide realistic scenario training. In addition to this AKE can deliver globally, bespoke WHR courses in a number of our training centres including US, Canada, Australia and Thailand. AKE International’s Travel Safety courses are designed to address the significant security and safety risks faced by overseas travellers. It raises general awareness, and equips delegates with the knowledge and skills to identify threats and mitigate the associated risks that present themselves whilst travelling to and working overseas. The course is targeted at individual business and adventure travellers, office based travel coordinators and gap year students. No prior qualifications are required. Training can be delivered at any of AKE’s global training facilities, or held in-house at client locations. For more information, please contact us. AKE International’s online travel safety course has been designed to assist individuals and teams to prepare for and manage risk whilst travelling to and working in potentially challenging and unfamiliar environments. Enabling organisations to achieve and demonstrate duty of care and meet corporate compliance requirements for international travel. The course is based on a modular approach, with particular focus on pre travel preparation & planning, threat identification & risk mitigation strategies that include situational awareness, journey management and emergency response. Is delivered via the cloud negating the requirement to download any software. It will simply work anywhere there is an Internet connection, on a PC, a laptop, or mobile device. This allows the individuals to complete the course at home, in the office or even whilst travelling. Attendance and results can be monitored, with delegates required to achieve an 80% pass result on the final exam. AKE International’s Contractors on Deployed Operations (CONDO) courses are designed to assist individuals and teams prepare for and manage risk whilst travelling to, living and working in potentially complex and hostile environments, in support of the UK’s Ministry of Defence’s deployed operations. The programme is delivered through a mixture of lectures, discussion groups, workshops, practical simulations and exercises to suit varied learning styles. The course content is designed to enables contractors to meet the specified requirements within the DEFCON 697 and DEFSTAN 05 – 129. Training is delivered from our purpose built training facility at Dovehills, located in the Herefordshire countryside. If required AKE will deliver courses at a venue of your choosing. Residential options are available on request. contact us. A crisis can hit at any time and it is vitally important that your business is prepared for the potential impact of a catastrophic event. We work with our client’s crisis management teams; to train and test their preparedness through scenario based training and exercises. Modules are targeted at those whom have specific roles & responsibilities within their organisations crisis management team. No previous experience is required (basic understanding of crisis & emergency management would be an advantage). AKE have designed a suite of modules to enable organisations to prepare for and manage a crisis should one occur. All modules are designed to be delivered over 4 hours, However modules can be bundled together to provide the complete suite or specific subjects to meet the needs of the organisation. Training is delivered on request. The qualification is specifically designed for those seeking a career in the emergency services, ambulance services, the event medical sector or those who work in high risk environments. Learners must be at least 17 years old on the first day of the training. There are no other formal entry requirements, but to benefit from the learning it is recommended that learners have a minimum of Level 2 in literacy and numeracy or equivalent. Having existing basic first aid knowledge is of first aid would be an advantage. Successful candidates will gain the knowledge, skills and competencies needed to be able to deal with a wide range of prehospital care emergencies, such as: managing a patient’s airway; catastrophic bleeding; management of fractures; medical emergencies and many more! Ofqual regulated qualification and is clinically endorsed by The Faculty of Pre-Hospital Care –The Royal College of Surgeons of Edinburgh, and fulfils the competencies set out in the Pre-hospital Emergency Medicine (PHEM) skills framework at descriptor level D, meaning learners can book this course with total confidence! Learners who have gained a Level 2 First Person On Scene (Intermediate) qualification within the last 3 years may attend a shorter 3 day FREC-R requalification course. In line with Resuscitation Council (UK) guidance, it is strongly recommended that first responders undertake annual refresher training that includes Basic Life Support and Automated External Defibrillation. The Health and Safety (First Aid) regulations 1981 require all employers to ensure that their employees receive immediate attention if they are injured or taken ill at work. This qualification is specifically designed for individuals who wish to act as a first aider within their workplace, or in voluntary and community activities. Learners must be at least 14 years old to register for this qualification and should have a minimum of level 1 literacy and numeracy or equivalent. Successful candidates will learn how to manage a range of injuries and illnesses that occur at work and will be equipped with the essential skills needed to give emergency first aid.to deal with a wide range of prehospital care emergencies, such as: managing a patient’s airway; catastrophic bleeding; management of fractures; medical emergencies and many more! This course forms part of the Qualsafe Awards First Aid suite of courses. It also fulfils the competencies set out by the Pre-hospital Emergency Medicine (PHEM) skills framework at descriptor level B. It is also an accredited Qualification and Credit Framework (QCF) course. This certificate is valid for 3 years. Evidence of any RPL must be submitted to the centre for authentication. The 1 day First Aid at Work annual refresher course is recommended. This regulated and nationally recognised qualification is specifically designed for those who are likely to be responding to an emergency incident. The qualification is to benefit Learners by providing them with the knowledge and confidence to provide the initial pre-hospital care at emergency or life-threatening incidents. Learners will gain the necessary skills associated with assessment, treatment and stabilisation of patients. This course forms part of the Qualsafe Awards Pre-hospital Care suite of courses. It also fulfils the competencies set out by the Pre-hospital Emergency Medicine (PHEM) skills framework at descriptor level B. It is also an accredited Regulated Qualification Framework (RQF) course. The certificate is valid for 3 years. Learners must be at least 17 years old on the first day of the training. There are no other formal entry requirements, but to benefit from the learning it is recommended that learners have a minimum of Level 2 in literacy and numeracy or equivalent. The course focuses on the pre-hospital casualty assessment which provides immediate life support to the patient pending the arrival of definitive medical care. The interventions covered during the course syllabus have been shown to greatly improve the patient survival outcome. Training is delivered from our purpose built training facility at Dovehills, located in the Herefordshire countryside. In addition to this AKE can deliver globally, courses in a number of our training centres including US, Canada, Australia and Thailand. Book a place on our regularly scheduled hostile environment and travel safety training courses. 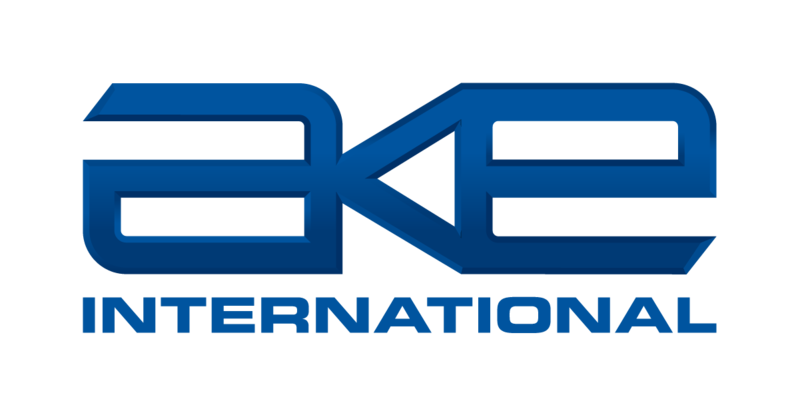 AKE is a worldwide distributor of specialist equipment & clothing, including bags, packs, portable & solar chargers, clothing and other accessories. Specialists in design and delivery of bespoke training packages; our bespoke training courses are designed to meet the specific requirements of your organisation.